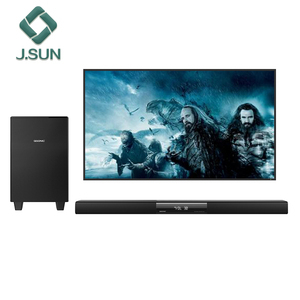 5 YRS Shenzhen Sunnylink Technology Co., Ltd. Question 2: Can I have a sample to test quality9 Answer 2: Yes, welcome to order samples to test and check quality. Quetion 3: What is the lead time9 Answer 3: Sample is 1-3 days, mass production time is 15-22 days for order less than 1000 pcs. Question 7: Do you offer guarantee for the products9 Answer 7: Yes, we offer one year guarantee for the products. 1 YRS Shenzhen DDFG Technology Co., Ltd.
We are ISO9001 certified company and Implement 5S systems in our management. They can meet your demands of product design, structure and softw are design. 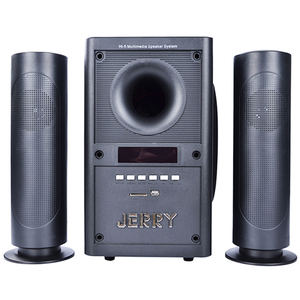 Good quality, Timely delivery,competitive price, customer foremost are what you can get from us. Q: Can I buy the licence free walkie talkie with my own logo9 A: Yes, customized logo is available, but extra cost charged on customer. Q: What is the standard accessories9 A: Standard package including one battery, one antenna, one charger, one belt clip and one english manual. Q: What is the delivery date if I place the order A: Normally 3-5 days for small order, if urgent order, please inform us first. 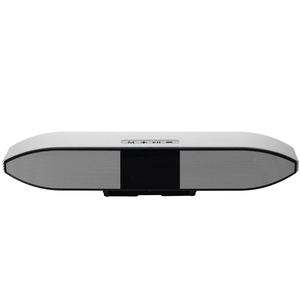 wireless bluetooth 3D Surround FM Radio built in battery sound bar home system Packaging & Shipping Packaging Details Packaging Details tvsound bar size: 800*60*60 Delivery Time 25-30days Delivery Time 25-30days 1.Does your product has the quality control and guarantee9 We are the 9 year alibaba gold supplier manufacturer, we concern each details, quality is our life, untill now, we have the good cooperation with customers around the world 2. What's your delivery time9 Normall our sample delivery is with 3-7 days, and the order products delivery time is 25-30 days, once ordered, we will try our best to cooperate with your inquiry job, never delay 3.What is your payment terms9 For the sample, our payment is paypal and T/T;For your order, Our payment terms is TT, 30% deposit in advance,70% before shipping 4.Can you provide our free sample9 We are the manufacturer, we use the newest material acoording to your requirements, perchasing the material has the high extra cost, so we don't provide free sample, but the extra pay will return back to you to the next order Shenzhen Etistar Control System Co. Ltd, is a leading professional manufacturer for Bluetooth speaker, sound bar, karaoke system, DVD player , set top box ( DVB-T2, ATSC, ISDB-T), our products have been successfully exported to more than to more than 100 countries in superior quality and won a lot of high reputations from all over the world. 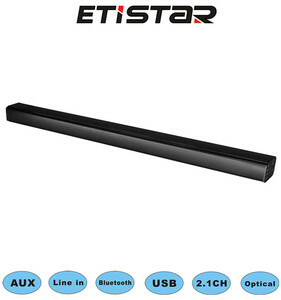 As an ISO 9001:2000 & ISO14001, BSCI certified company, We will keep providing the best products and services to our customers, OEM/ODM are As a responsible enterprise ,Etistar upholds the green ecology development concept, cares about the global environment and humanity. 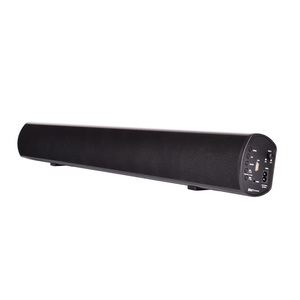 Alibaba.com offers 2,996 sound bar radio products. About 46% of these are mobile phones, 27% are speaker, and 1% are portable radio. 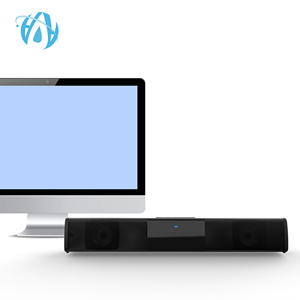 A wide variety of sound bar radio options are available to you, such as computer, home theatre, and mobile phone. You can also choose from paid samples, free samples. 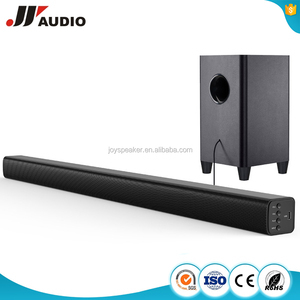 There are 2,996 sound bar radio suppliers, mainly located in Asia. 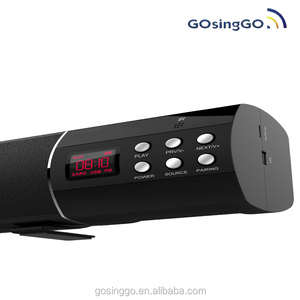 The top supplying country is China (Mainland), which supply 100% of sound bar radio respectively. 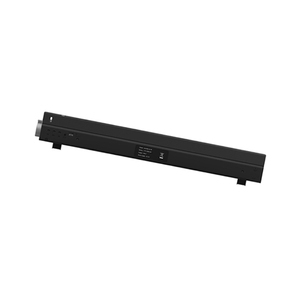 Sound bar radio products are most popular in South America, North America, and Western Europe. You can ensure product safety by selecting from certified suppliers, including 221 with ISO9001, 84 with BSCI, and 23 with Other certification.